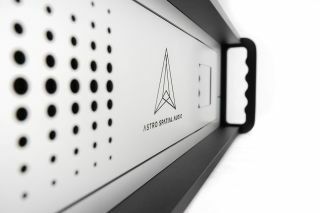 At ISE, Astro Spatial Audio (ASA) unveiled its new SARA II Premium Rendering Engine. Appearing on the booth of Alcons Audio (Hall 6, booth H148), the second generation SARA II is powering an “immersive pro ribbon experience,” with demonstrations taking place every two hours. The 3U, rack-mountable SARA II brings the creative possibilities of object-based 3D sound to the live entertainment and installation industries, plus room acoustics and stage-tracking features, all in an easy-to-use package. With a redesigned fascia with a 2.8-inch touchscreen display, the hardware includes refinements such as ultra-low noise cooling, redundant onboard SSD drives, and up to 64 MADI or 128 Dante-configurable network pathways, all of which are assignable to at least 32 audio objects. Browser-based access to a user-friendly GUI impoves operation with simultaneous control from up to 10 devices (via OSC for MIDI, RS-232, and GPIO). Latency is less than 5ms, while reliability of operation is improved with solid construction and a Linux CentOS operating system. Harnessing the power of SpatialSound Wave (SSW) technology, developed by the Fraunhofer Institute for Digital Media Technology IDMT, the SARA II Premium Rendering Engine delivers a suite of features for driving fully object-based immersive audio productions, including 3D playback, dynamic electronic room acoustics, and stage tracking.